The best culinary talent that Belfast has to offer. Read about each Chefs background & how they put this into the preparation & delivery of every class. 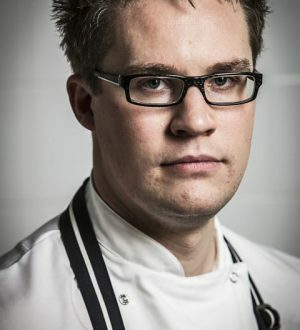 Ben shot onto our screens as a participant and Northern Ireland heat winner in the BBC’s “Great British Menu” in 2015. Having trained at college in London and later learned his trade working at two Michelin starred Le Gavroche, at La Trompette, and also for Theo Randall. He later spent time working in the kitchens at the House of Commons. 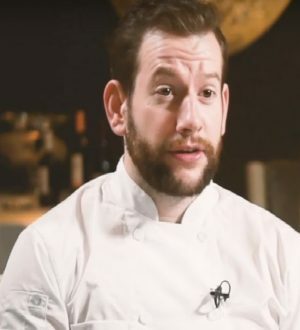 No stranger to competitive cooking, Ben has won numerous accolades including Northern Ireland’s prestigious Robbie Millar Scholarship, beating fellow Great British Menu newcomer Danni Barry in the process. He has also represented Great Britain in the World Culinary Olympics. 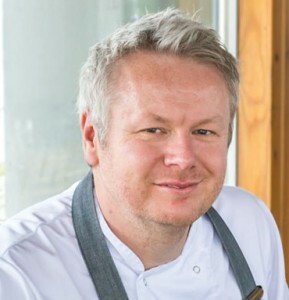 James has worked in some of Northern Ireland top restaurants as well as enjoying short stints in Dublin, London and New York. With over ten years’ experience James boosts some impressive titles. Most recently awarded the National Chef of the Year 2017, James beat off stiff competition from ten finalists representing restaurants including Restaurant Gordon Ramsey and Petrus, to win the UK’s most prestigious culinary competition. James also holds the titles of All Ireland Young Chef of the Year 2009 and the Northern Ireland Senior Chef of the Year 2012. As well as making it to the quarter finals of the BBC’s MasterChef Professionals series. James’ career started over 20 years ago under the watchful eye of Paul & Jeanne Rankin in Belfast’s highly acclaimed Roscoff restaurant. Contributing to one of the most talented kitchen teams ever assembled in Belfast and mentored by Mourne Seafood Bar owner Andy Rea, exceptional skill, knowledge and quality was the norm. This background has led to the foundation for an exciting career. 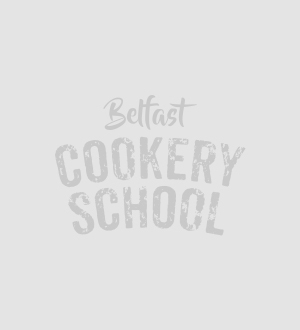 James is currently one of our resident chefs at Belfast Cookery School and has hosted over 200 classes. His friendly, informative and approachable manner helps each attendee get the most out of each session. 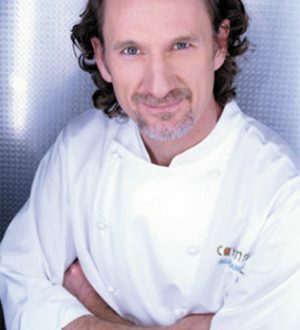 Paul Rankin changed the face of the culinary scene in Northern Ireland when he opened Roscoff, the restaurant that was to become the first to win a Michelin Star in the country. Soon after opening, it became the favourite meeting place for the Belfast business and arts community, and people travelled everywhere simply to experience what was considered to be the best cooking in Northern Ireland at the time. Paul continues to help mould the internationally recognised Irish culinary scene with several of his own restaurants, an author of several highly regarded cookery based books, his own food lines, all while he continues to build an ever blossoming T.V. career. Paul is a very in demand Chef, and quite rightly so. We are very happy to count him as a member of the team in Belfast Cookery School. Franco is from a small town in the mountains of sicily called Marineo. He trained as a chef in Palermo and then spent summer seasons in north of Italy. Coming to Belfast in 1991 initially to improve his English, he hadn’t planned to stay but here twenty years later he’s still here. Franco has worked in a number of establishments in Belfast, some specialising solely in Italian food and others influenced by worldwide flavours. His preference is still for Italian food. Andy is one of the most masterful chefs working in Northern Ireland. From his roots training in catering at the Belfast Institute, Andy went on to work throughout America before returning to Belfast and settling on a position in Michelin restaurant Roscoff. 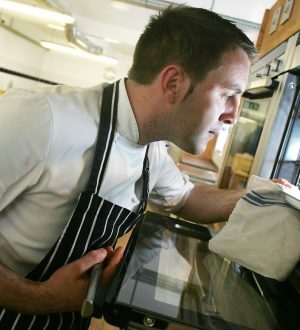 Andy was appointed Head Chef at Roscoff and latterly Cayenne, scooping numerous accolades along the way. In partnership with seafood farming duo Joanne and Bob McCoubrey, Andy opened Mourne Seafood Bar in the heart of downtown Belfast to widespread critical acclaim.